The comedy festival will be in Austin from April 24 to April 27. AUSTIN, Texas — The eighth annual Moontower Comedy Festival has announced their new lineup and they did not disappoint. Joining Jenny Slate and David Spade at this Austin comedy show will be Schitt's Creek. 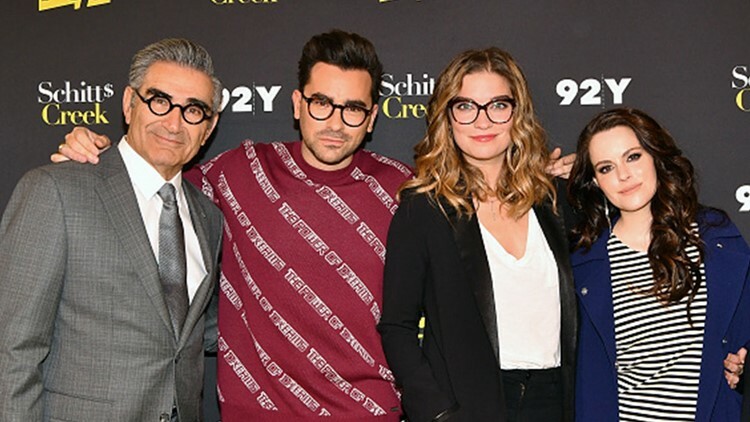 Schitt's Creek is an award-winning sitcom on Netflix featuring Eugene Levy, Catherine O'Hara, Dan Levy, Annie Murphy, Emily Hampshire and Noah Reid. Other notable comedians who will be attending this event include Sal Vulcano, Nate Bargatze, Ronny Chieng and Amanda Seales. The comedy festival will be from April 24 to April 27 at the Paramount Theatre. For more information about this event and for a full lineup, click here.